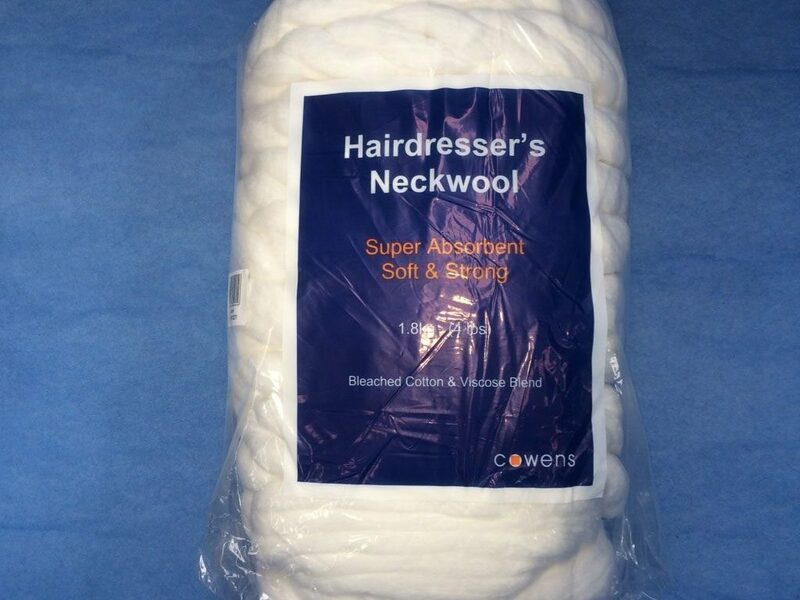 A premium neck wool for hairdressers used when perming and dyeing hair to protect clothing and skin. 3 colour printed bag for maximum impact, with clear back and sides for easy customer inspection. 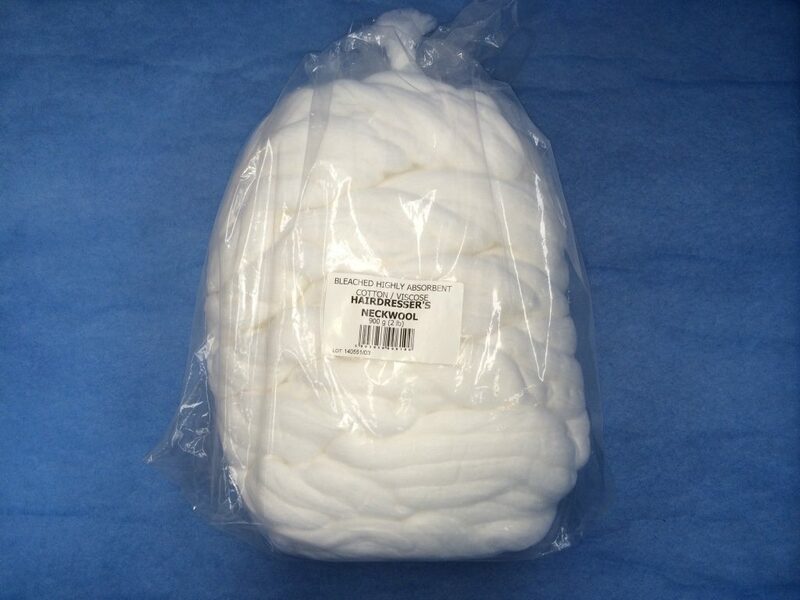 Soft, highly absorbent, minimum linting, minimum neps, cotton wool sliver manufactured by Cowens Ltd. 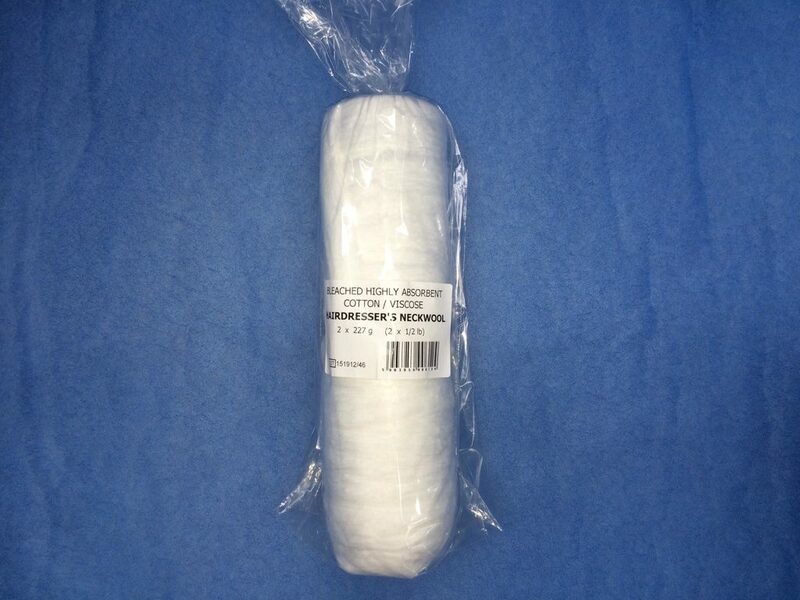 The neckwool is pre-fed through the hole by us to eliminate the frustration of looking for the end in a new bag.The neckwool blend has been engineered to maximise absorption and reduce linting while the thickness enables one loop to be sufficient per customer.